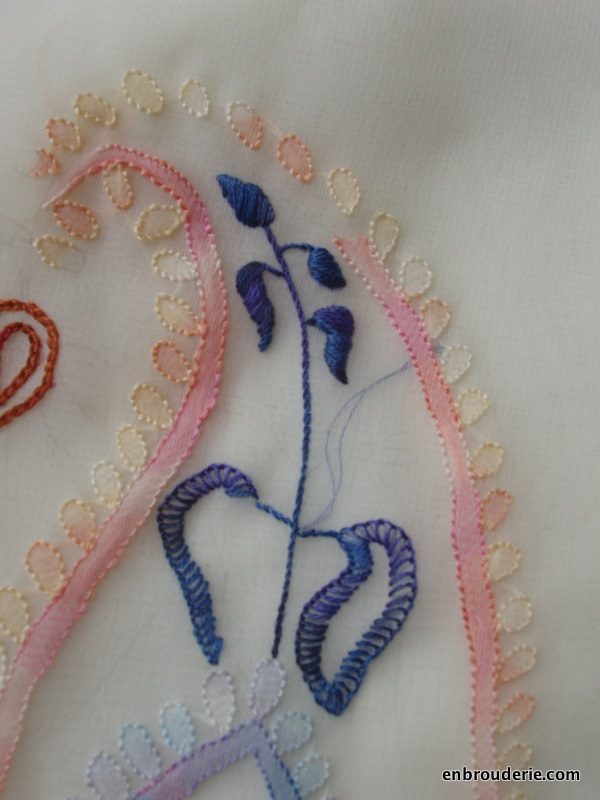 I am still slowly working on Anita’s chikankari class. 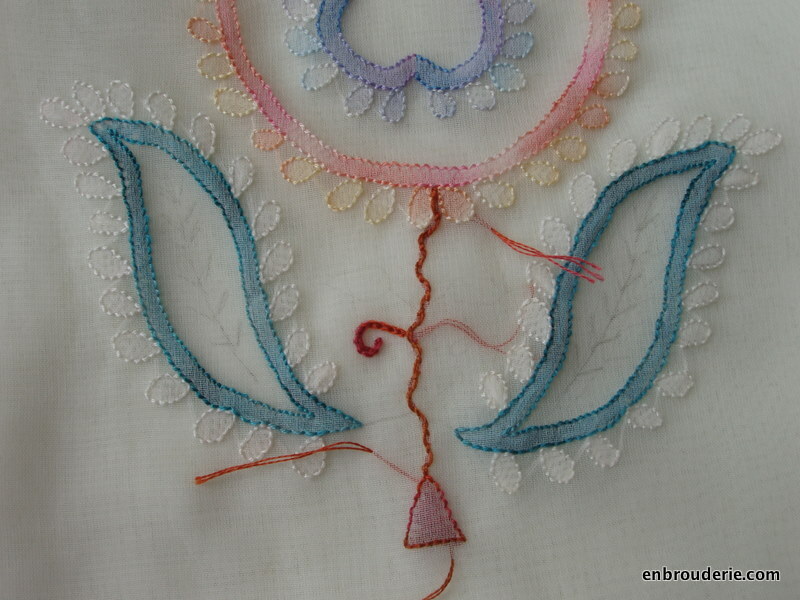 Most of the remaining stitches are surface work, not shadow work. I’m really loving the design! It’s so gorgeous. Here are some photos of the details I’ve added since last update. I’m still working away at my dissertation, y’all, and I’m getting there. I have a ton of plans for this blog as soon as I’m done! We will have so much fun! This entry was posted in Indian embroidery, My work and tagged chikan work, chikankari, embroidery, indian embroidery. Bookmark the permalink. It’s such a delicate technique – and so important that you get each bit right – there’s nowhere at all to hide, is there! Well done! I agree with you,it’s a delicate technique. Yes, I really have to be careful with tucking in threads. I’m glad that you like the design Hannah. 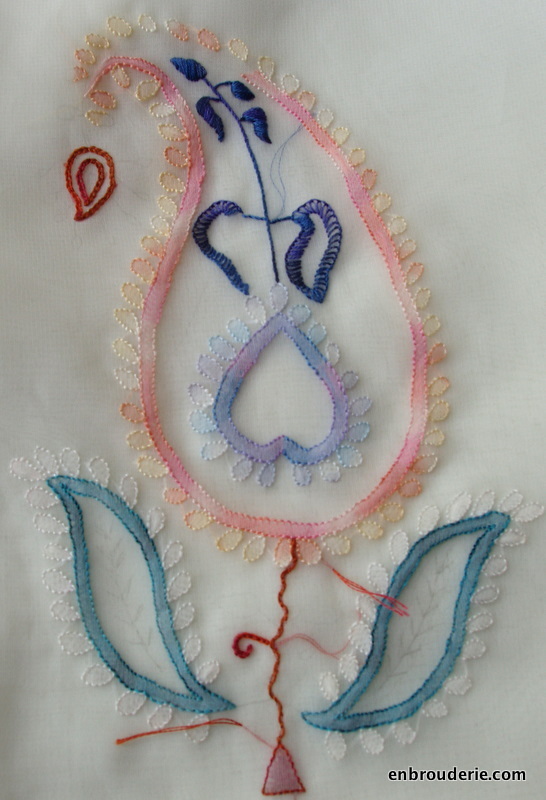 I’ve always worked this embroidery either in white or very pale colours.Only after I started this sal I get to see so many colours :).. It must be so cool to see hundreds of people working your design!